I was recently one of the lucky few who received the Bite Beauty Multistick VoxBox from Influenster. 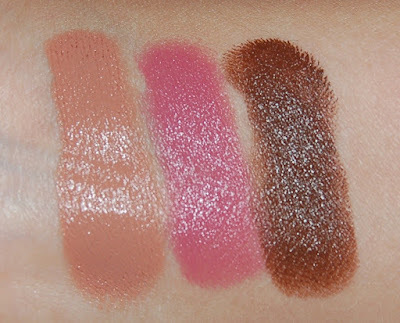 I love Bite Beauty lipsticks so I was really excited to try the new Multisticks. 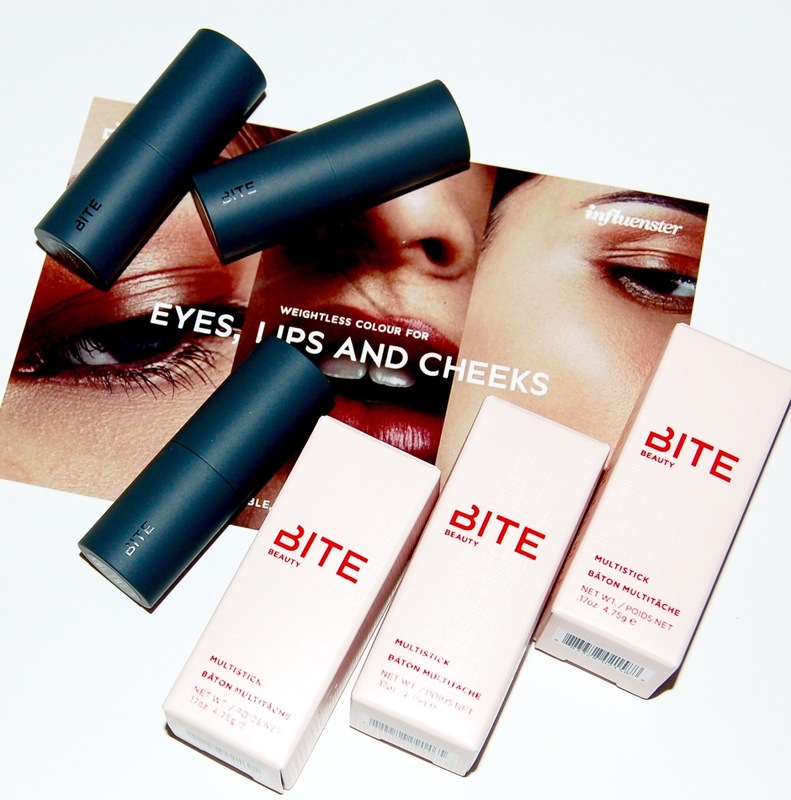 The Bite Beauty Multistick is a cream that wears like a powder and can be used on your lips, eyes, or cheeks. They can be blended with your finger, a beauty sponge, or a brush. The packaging is sturdy and they have a magnetic closure. 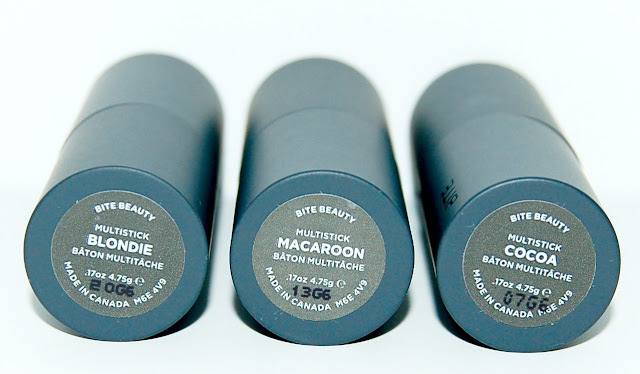 I received the shades Blondie, Macaroon, and Cocoa. Overall, I like the Bite Beauty Multisticks. Macaroon is a pretty lipstick and blush color. I can Contour with Cocoa and I use Blondie on my eyelids (it's too close to my skin tone to use as a neutral blush shade). When applying to my cheeks, these are a little hard to blend out with my finger so I use either a kabuki brush or Beauty Blender. Although I think these are good products, I don't think that the Multisticks are a must-have product. I have found that Macaroon is the only shade that I would use as an actual "Multistick", meaning that I'd use it on more than one area, my lips and cheeks. And even then, I always prefer using a powder blush. 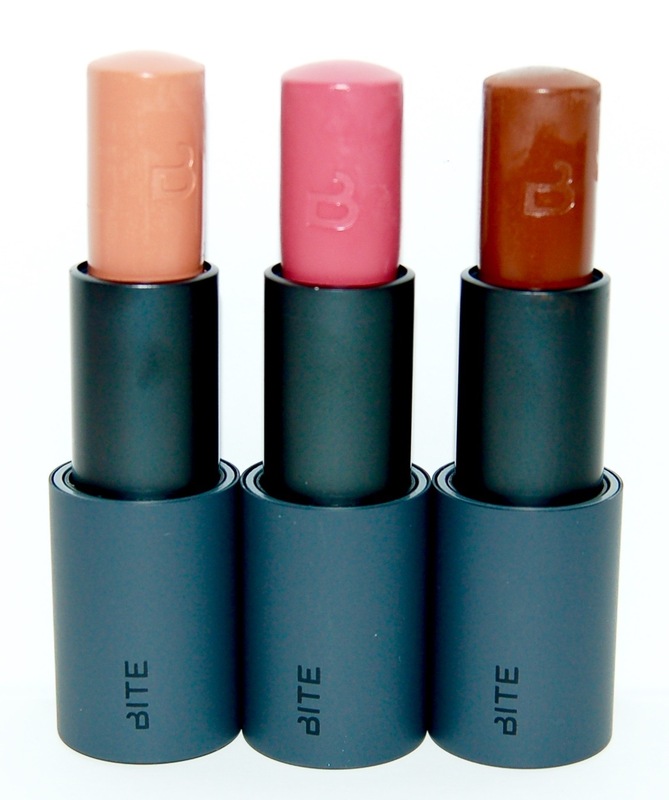 And as a lipstick, because of the flat shape, application is messy. These retail for $24 and can be purchased at Sephora. *I received this product complimentary from Influenster for testing purposes. All statements are 100% honest and my own. Note: Influenster is a free program that sends out occasional "VoxBoxes" or products like this these Multisticks. Complimentary products are sent to influencers to review on their blog and/or social media accounts. To qualify for free products you need a decent Influenster score and you must be in the demographics selected for that particular product. Please let me know if you'd like to join Influenster and I'll email you an invitation! Or you can join by clicking HERE. Three Year Blog Anniversary + Huge Giveaway!